Call Port’s Heating & Air for Fast Service! 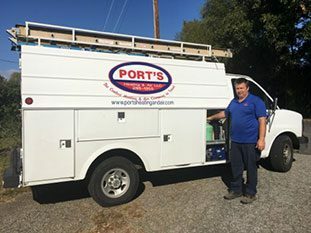 Port’s Heating & Air serves the Lancaster, SC area with fast, honest repairs on all makes and models of HVAC units. We’ll gladly help you with heating and air conditioning sales, repairs and installation, and water heater service service and repairs. 24 hour emergency service is available. Free estimates are available for new units. Don’t forget to ask about our maintenance contracts!